Luxury Chalets Morzine hot tub – A must! What makes a Morzine Ski Chalet Luxury?…. A Luxury Chalets Morzine hot tub! Well among many other things, we believe an outdoor hot tub with amazing views is a great start. Come and slip in to a Luxury Chalets Morzine hot tub at a Snow Candy Chalet…. All of our Luxury Ski Chalets in Morzine now have outdoor hot tubs. Furthermore, our guests can enjoy and relax after an exhilarating day on the mountain with a nice soak in the tub…. but why? ….because you asked us! Ski Chalet Daisy has always had an outdoor hot tub since we began back in 2011, and we bought one for Ski Chalet Le Mousseron last winter. Feedback from the guests staying at Ski Chalet La Plagnette is that they wanted one too, so what have we done? we’ve only gone and got a brand new hot tub for Chalet La Plagnette! 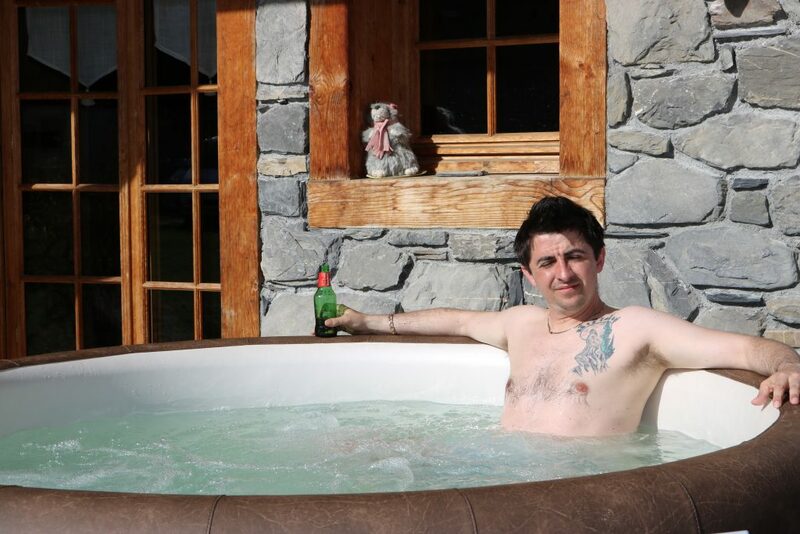 Our returning guests mean a lot to us, so by popular demand ALL of our Morzine Luxury chalets have an outdoor hot tub. Each year we are listening to our guests. As a result, we are improving our chalets and tailoring our service to what you want. We want our guests to keep coming back year after year to enjoy the Snow Candy experience. And many of you do! Not booked your Luxury Ski Chalets yet? See our Ski Chalet Prices and availability. And see Ski Chalet Daisy, or Ski Chalet Le Mousseron for more chalet information and photos. SNOW on the horizon for our Morzine Chalets… and lots of it!!! Can you suggest any of your chalets that are free?